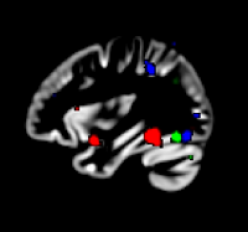 Functional MRI in Clinical Research and Practice: Measurement, Design and Analysis is designed to give clinical investigators an intensive introduction to the issues associated with using structural and functional MRI in proposing, executing and reporting clinical research studies. Topics will include the basic principles of MRI measurement, techniques for stimulus presentation and response recording in high magnetic fields, basic statistical methods, individual subject experimental design and analysis techniques, group design and analysis techniques, clinical study design principles and guidelines for proposing and reporting clinical neuroimaging studies. Emphasis will be given to the current and potenial future use of functional MRI in clinical practice, including its growing role in supporting pre-surgical planning. Each afternoon will end with an Experimental Design Workshop session, in which participants will gather in small groups to work through the stages of designing a clinical study using stuctural and functional neuroimaging endpoints. The final session will include presentations of these projects. The level of the presentations will be appropriate for both early and mid-career clinical investigators planning to use measures of brain structure and function in clinical studies. The course website will provide extensive guidance for subsequent self-study. Information about accomodations may be found here. The courses will be held in the 3rd floor conference room at the Constitution Inn in Charlestown, MA.. Parking is available nearby. The course instructors are Thomas Zeffiro and Robert Savoy. The fee for the program is $1500. Reduced rates of $1250 for post-doctoral fellows and $1000 for undergraduate, graduate or medical students are available. A 20% discount is available to all MGH and MIT investigators.